NOTE: Because of the nature of this project, there was a bending of usual LibriVox procedures: pub-like background noise was encouraged, as well as group readings; and no editing was required, so in places there may be some accidental variation from the original text ... Listener be warned! Still one of the most radical novels of the 20th Century, James Joyce's Ulysses is considered to have ushered in the era of the modern novel. 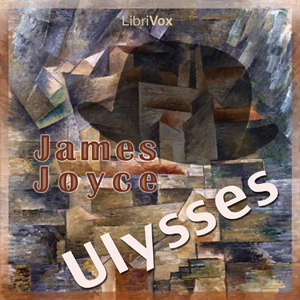 Loosely based on Homer's Odyssey, the book follows Leopold Bloom and a number of other characters through an ordinary day, twenty four hours, in Dublin, on June 16, 1904. The text is dense and difficult, but perfectly suited to an oral reading, filled with language tricks, puns and jokes, stream of consciousness, and bawdiness. 8th and 9th segments, with The Kings and The Fight, were edited and sound designed by annelika.